Citation | Balami AG, Enam SJ, Sule AG, Patrobas MN, Abdu PA, Chiroma MA, Wakawa AM, Aluwong T (2018). The relationship between feed conversion ratio, feed intake and body weight gain of broilers fed moringa oleifera leaf supplemented feed following challenged with very virulent infectious bursal disease virus. Adv. Anim. Vet. Sci. 6(6): 227-233. Copyright © 2018 Balami et al. This is an open access article distributed under the Creative Commons Attribution License, which permits unrestricted use, distribution, and reproduction in any medium, provided the original work is properly cited. The inclusion of protein from leaf sources in diets for broilers is rapidly gaining ground due to its availability, abundance and relatively reduced cost (Onyemonyi et al., 2009). Leaf meal does not only serve as protein sources but also provide some essential vitamins, minerals and also oxycarotenoids which causes yellow colour of broiler skin, shank and egg yolk (Ravindra, 1986). With specific emphasis to protein substitutes, Moringa oleifera leaf (MOL) is among leaf plants that can be used as a cheap protein supplement that aids the digestion of other diets (Gadzira-y et al., 2012). Moringa oleifera leaf was also claimed to be an immune system booster (Olugbemi et al., 2010; Jayavardhanan et al., 1994). Moringa oleiferais the most widely cultivated species of a monogeneric family, the Moringaceae that is native to the sub-Himalayan tracts of India, Pakistan, Bangladesh and Afghanistan (Mughal et al., 1999). It is widely cultivated and naturalized in tropical Africa, tropical America, Sri Lanka, India, Mexico, Malabar, Malaysia and the Philippine Islands where it’s been advocated for traditional, medicinal and industrial uses (Morton, 1991). Table 1: Composition of Experimental Diets of broilers starter and finisher diets per 100 kg feed. Infectious bursal disease (IBD) is an immunosuppressive disease of poultry that is caused by Infectious bursal disease (IBDV) (Müller et al., 2003; Musa et al., 2010). Immunosuppression is usually due to the destruction of B cells and macrophages, and their functions (Sharma et al., 2000; Khatri et al., 2005), which leads to reduced antibody response to vaccinations, strong post vaccinal reactions and increased susceptibility to concurrent or secondary infections (Van-der-Berg 2000; Musa et al., 2012). Immunological stress, however, has a profound and significant effect on feed intake (Ferket and Gernat 2006). Feed intake (FI) is the most important factor that influences both the body weight gain (BWG) and feeds conversion ratio (FCR) in broilers. Broilers may not grow to their full potentialunless they consume their full nutritional requirement each and every day. Besides satisfactory feed formulations, maintaining utmost feed intake is the most vital factor that determines the rate of growth and efficiency of nutrient utilization (Ferket and Gernat, 2006). Feed conversion ratio is the feed intake that is needed by a broiler to add in body weight over a stipulated time interval (Reyer et al., 2015). Therefore, this study was conducted to assess the relationship between WFI, WFCR and WBWG of broilers fed MOL supplemented diet and challenged with a very virulent infectious bursal disease virus. The study was conducted at the Poultry Research Unit of the Faculty of Veterinary Medicine, Ahmadu Bello University Samaru, Zaria, Nigeria. Moringa oleifera leaf was harvested (between the months of August and September) from an orchard at an early flowering stage. The stem and branches were cut from the Moringa trees and spread out to dry under shade at room temperature for five days. The MOL wasthen removed manually by hand and grounded into powder using a locally manufactured milling machine. Mineral analysis of MOL was carried out according to the procedure of Association of Official Analytical Chemist (AOAC, 1990) to determine the calcium, phosphorus, magnesium, iron, sodium, zinc, copper, selenium, potassium, and manganese components. Qualitative and quantitative analysis of MOL was carried out, according to the method described by Sofowora (1993), to determine the presence of tannins, phytates, saponins, oxalates, cyanides, alkaloids, carbohydrates, flavonoids, steroids, terpenoids, phenols, and phylobatanins. The standard methods of the Association of Official Analytical Chemists (AOAC, 1990) for the proximate analysis of the MOL was used to determine the percentage carbohydrates, crude protein, fats, fibre, ash, moisture and metabolizable energy. The dried MOL was milled with a hammer mill and sieved with 3 mm mesh sieve to obtain Moringa oleifera leaf meal. Broiler starter (22% crude protein) and broiler finisher (20% crude protein) were formulated base on the recommended levels for broilers as reported by McDonald et al. (1995) who put the protein requirements for broilers raised in the tropics at 20-22%for starter and 18-20% for finisher. Five percent MOL was included in the feed as described by the methods of Olugbemi et al. (2010) using Pearson square. The feed was subjected to proximate and mineral analysis based on the method described by the AOAC (1990) in the Feed Analysis Laboratory of the Department of Animal Science, Ahmadu Bello University Zaria, to determine the level of metabolizable energy, crude protein, crude fibre, moisture, ash content, and dry matter (Table 1). A total of 240 day old Ross 308 hybrid broiler chicks were obtained from a commercial hatchery located in Yola, Nigeria. The chicks were brooded in a deep litter house which was properly cleaned and disinfected before the arrival of the chicks with wood shavings as litter material and feeders and drinkers were provided. The chicks were individually weighed and assigned in a complete randomised design into four different groups A, B, C and D of 60 chicks each. A 100-watt bulb was provided in each of the compartment to supply light and heat during brooding. All the broilers were fed with broiler starter for 28 days (from 0 to 4 weeks of age) and broiler finisher for 21 days (from 5 weeks to 7 weeks). Feed and water were provided ad libitum (using plastic drinkers and galvanised feeders). Groups A and B were fed with broiler starter and finisher diets each containing 5% MOL, while groups C and D were fed with broiler starter and finisher feed without MOL. Groups A, B and C were challenged at 35 days of age with a vvIBDV. All the groups were fed for 49 days (7 weeks). Inactivated killed vaccine against IBD (inactivated intermediate strain, Virsin 122, oil emulsion, Biovac Limited, Isreal, Batch 1- 382222) and inactivated killed vaccine against Newcastle disease (ND) (oil emulsion Komorov strain, Biovac Limited, Isreal, Batch 1-422222) were obtained from a Veterinary Pharmaceutical store in Jos, Nigeria. Broilers in groups A and C were vaccinated through the thigh muscles intramuscularly with 0.5 ml of the killed IBD vaccine at 14 and 21 days of age, while vaccination against ND was done with the killed ND vaccine (0.5 ml) through the thigh muscles intramuscularly at 18 days of age. At 35 days of age, all the broilers in groups A, B and C were challenged intra ocularly with 0.05 ml of a live vvIBD virus. 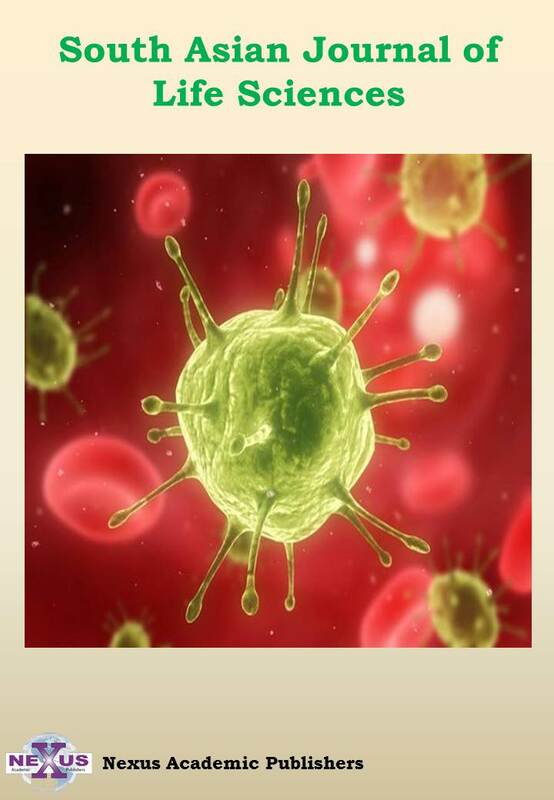 The IBD virus used for the challenge was a field strain of vvIBDV obtained from previously vaccinated layers that died of natural outbreak ofIBD. Sixtyfive per cent of commercial cockerels inoculated at 30 days of age with 50 µl of bursal suspension (v/w) in PBS (pH 7.4) died. One millilitre of bursal suspension (v/w) in PBS (pH 7.4) contained 10-976 CID50 of IBDV. The data obtained were analysed using multivariate method (Correlation) with JMP version 11 (SAS Inst. Cary NY). The analysis is considered significant at p<0.05. showed a strong negative significant correlation (r = 0.9999, p = 0.0001) between WFCR and WFI from week 1 to 7. However, a week negative, not significant correlation (r = 0.18, p = 0.5) was observed between WBWG and WFCR from week 1 to 5, and a positive not significant correlation was also observed between WBWG and WFCR from week 6 and 7. Still, a week positive, not significant correlation was observed between WBWG and WFI in week 1, 2, 4 and 5, while a week negative, not significant correlation was observed in week 3, 6 and 7 (Table 3).A strong negative significant correlation (r = 0.9999, p = 0.0001) was observed between WFCR and WFI and between AWBWG and WFCR from week 1 to 7 among broilers of group C. Still, a strong positive significant correlation (r = 1.0000, p = 0.0001) was observed between AWBWG and WFI from week 1 to 7 (Table 4). Similarly, a strong negative significant correlation (r = 0.9999, p = 0.0001) was observed between WFCR and WFI, and between WBWG and WFCR, and a strong positive significant correlation (r = 1.0000, p = 0.0001) between WBWG and WFI from week 1 to 7 among broilers of group D (Table 5). The relationship between WFCR, WBWG and WFI was not affected in groups A and C when compared with those of group D even after the challenge with vvIBDV. This is seen in the strong negative and strong positive significant correlation between these parameters in these groups. Vaccination against IBDV that was earlier given to these groups prevented the IBD virus from severing the strong relationship that was observed between these parameters, as vaccination plays an important role in preventing diseases such as IBD (Abdu, 1986). The strong significant correlation that was observed between these groups (A and B) could also indicate that both formulations of the feeds (MOL supplemented and non MOL supplemented) are adequate in nutritional value. served between WBWG and WFI in weeks 3,6, and 7 shows that there was a decrease in WFI and hence WBWG during the experimental period. Generally, the quantity of feed consumed contributes immensely to weight gain in broilers. The decrease in feed intake observed in broilers of the this group could either be as a result of the change in feed from broilers finisher to broilers starter or as a result of the unpalatable nature of leaf meals due to the presence of tannins as tannins have been associated with bitter taste that will prevent chicks from consuming adequate quantity of the feed (Omekam 1994; Kakenge et al., 2003). This was further aggravated by the challenge with vvIBDV, as IBD has been known to be associated with anorexia (Tsukamoto et al., 1995; Islam et al., 2001). This is to say, MOL supplemented feed alone without vaccination against IBD, could not prevent the devastating effect of the IBD after with the IBD virus. However, despite the challenged with vvIBDV, the correlation between WFCR and WFI was not affected. This is shown in the strong negative significant correlation observed between these parameters. Thus, as the WFCR decreases, WFI increases. A low FCR is an excellent characteristic of high quality feed (Hascik et al., 2010). The present study implies that broilers fed MOL supplemented diets adequately utilize the nutrients in the feed they consume even when infected with IBD virus. This agrees with the work of Onunkwo and George (2015), Ebenebi et al. (2012) and Safa and El Tazi (2012) who also reported a lower FCR in broilers fed MOL supplemented diet. This could probably be the reason for the not significant reduction in WBWG as observed in the week positive correlation between WFCR and WBWG of broilers in group B after challenge with vvIBDV. The not significant reduction in the WBWG of broilers in group B despite the challenge with vvIBDV could be attributed to the presence of amino acids, vitamins, minerals, antioxidants, immunostimulants and antibacterial that are present in the MOL (Makkar and Becker, 1997; Fahey, 2005; Anwar et al., 2007). Moringa oleifera leaf supplemented diet lowers the FCR of broilers during infection with IBD virus which consequently increase their body weight gain. 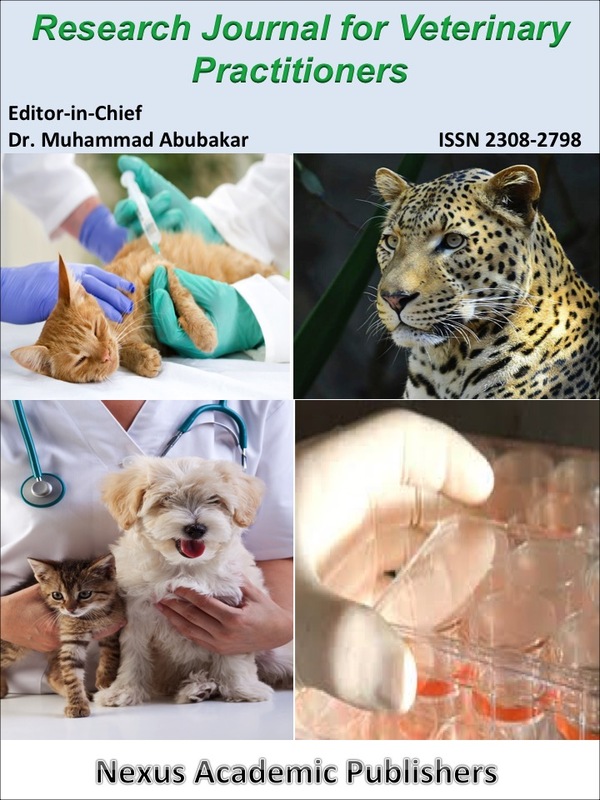 The authors wish to thank Dr. Lawan Adamu of the Department of Veterinary Medicine, University of Maiduguri, for his immense contributions, especially on the statistical analysis. 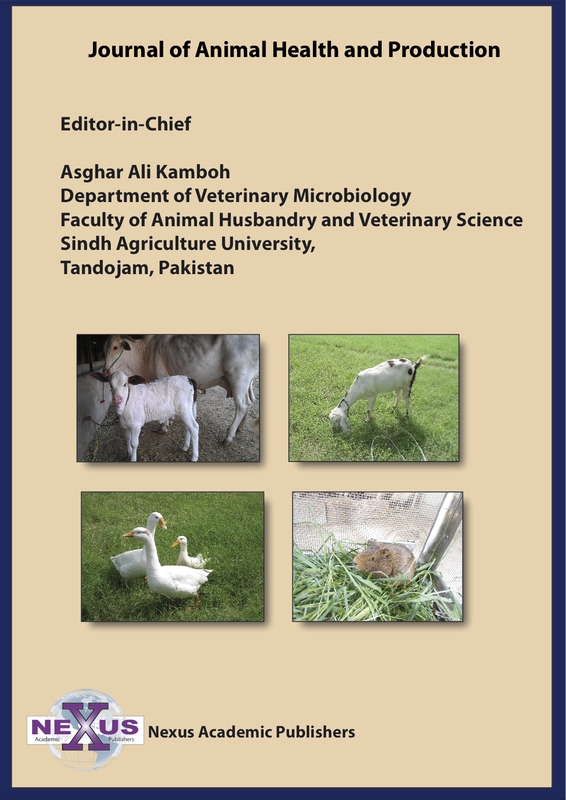 The authors wish to thank Dr. Lawan Adamu of the Department of Veterinary Medicine, University of Maiduguri, for his immense contributions, especially on the statistical analysis. The authors wish to declare no conflict of interest. A.G Balami, P.A Abdu, A.M Wakawa and T. Aluwong designed the research, A.G Balami, S.J Enam and M.N Patrobas conducted the research, while all the authors participated in writing and proof reading of the manuscript. •	Abdu PA (1986). Infectious bursal disease immunization failures in chicken in Nigeria. Trop. Anim. Health Prod. 18:123-125. •	Anwar F, Latif S, Ashraf M, Gilani AH (2007). Moringa oleifera: A food plant with multiple medicinal uses. Phytotherap. Res. 21: 17-25. •	Association of Official Analytical Chemists (AOAC) (1990). Official Methods of Analysis, Association of Official Analytical Chemists, Washington, D.C., USA. 15th Edition, pp. 807-928. •	Ayssiwede SB, Zanmenou JC, Issa Y, Hane MB, Dieng A, Chrysostome CAAM, Houinato MR, Hornick JL, Missohou A (2011). Nutrient composition of some unconventional and local feed resources available in Senegal and recoverable in indigenous chickens or animal feeding. Pak. J. Nutr. 10: 707-717. •	Ebenebe CI, Umegechi CO, Aniebo AO, Nweze BO (2012). Comparison of haematologicalparameters and weight changes of broiler chicks fed different levels of Moringa oleifera diet. Int. J. Agric. Biosci. 1(1): 23-25. •	Fahey JW (2005). Moringa oleifera: A review of the medical evidence for its nutritional, therapeutic and prophylactic properties. Trees Life J. 1:5 http://www.TFLJournal.org/article.php/20051201124931586. •	Ferket PR, Gernat AG (2006). Factors That Affect Feed Intake of Meat Birds: A Review. Int. J. Poult. Sci. 5 (10): 905-911. •	Gadziray iCT, Masamha B, Mupangwa JF, Washaya S (2012). Performance of broiler chickens fed on mature Moringa oleifera leaf meal as a protein supplement to Soybean meal. Int. J. Poult. Sci. 11(1):5-10. •	Hascik P, Kacaniova M, Mihok M, Pochop J, Benczova E (2010). Performance of various broiler chicken hybrids fed with commercially produced feed mixtures. Int. J. Poult. Sci. 9(11):1076–1082. •	Islam MR, Zierenberg K, Eterradossi N, Toquin D, Rivallan G, Müller H (2001). 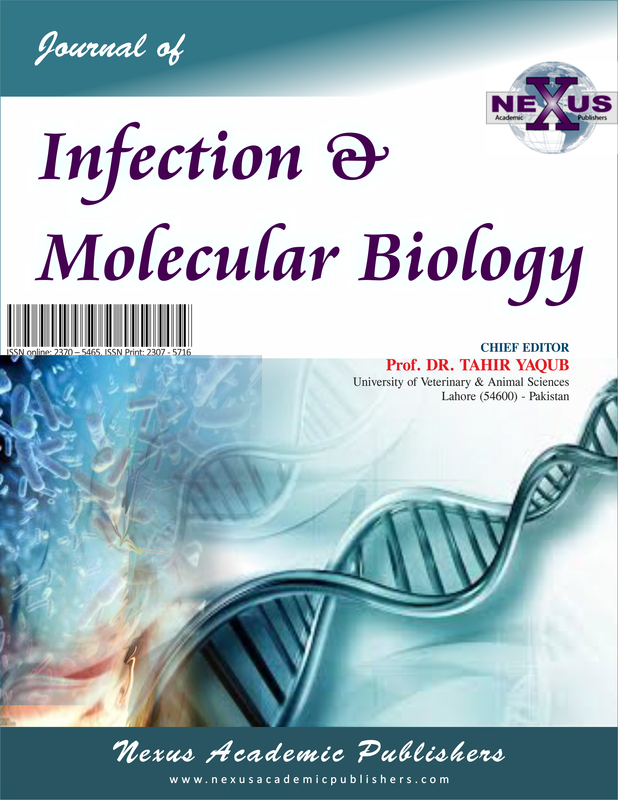 Molecular and antigenic characterization of Bangladeshi isolates of infectious bursal disease virus demonstrate their similarities with recent European, Asian and African very virulent strains. J. Vet. Med. 48: 211–221. •	Jayavardhanan KK, Suresh K, Panikkar KR, Vasudevan DM (1994). Modular potency of drumstick lectin on host defense system. J. Exper. Clin. Cancer Res. 13: 205-209. •	Kakengi AMV, Shen MN, Sarwart SV, Fujihara T (2003). Can Moringa oleifera be used as protein supplement to ruminant diet. Asian-Australian J. Anim. Sci. 18(1): 42-47. •	Khatri M, Palmquist JM, Cha RM, Sharma JM (2005). Infection and activation of bursal macrophages by virulent infectious bursal disease virus. Virus Res. 113: 44-50. •	Makkar HPS, Becker K (1997). Nutrient and anti quality factors on differentmorphological parts of the Moringa tree. J. Agric. Sci. 128: 311-322. •	McDonald P, Edwards RA, Greenhalgh JFO, Morgan CA (1995). 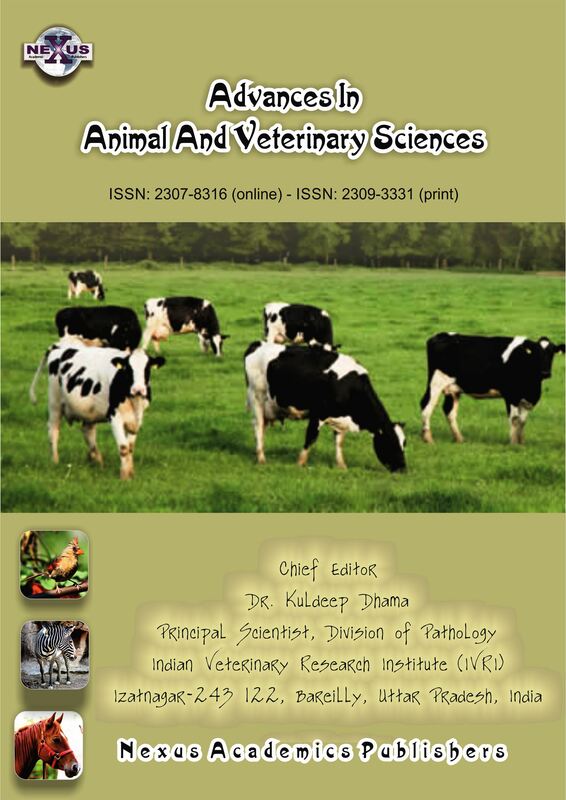 Animal nutrition. 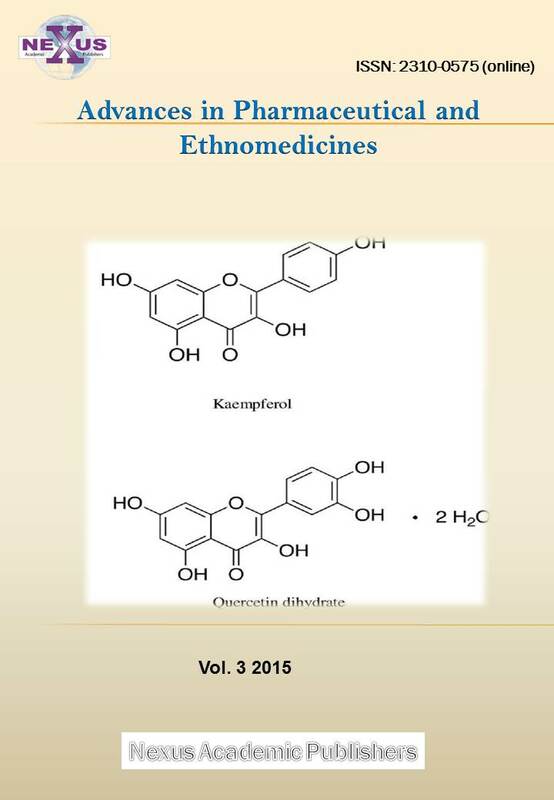 4th Edn., John Wiley and sons, United State, pp: 607. •	Morton JF (1991). The horseradish tree, Moringa pterygosperma (Moringaceae) - A boon to arid lands? Economic Botany. 45:318. •	Mughal MH, Ali G, Srivastava PS, Iqbal M (1999). Improvement of drumstick (Moringa pterygosperma Gaertn.) – a unique source of food and medicine through tissue culture. Hamdard, Med. 42: 37–42. •	Müller H, Islam MR, Raue R (2003). 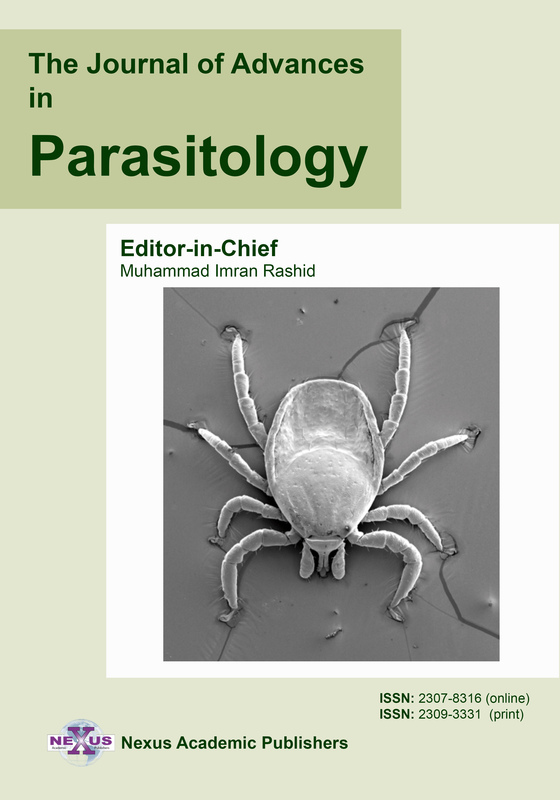 Research on infectious bursal disease – the past, the present and the future. Vet. Microbiol. 97: 153–165. •	Musa IW, Sa’idu L, Abalaka ES (2012). Economic impact of recurrent outbreaks of Gumboro disease in a commercial poultry farm in Kano, Nigeria. Asian J. Poult. Sci. 6: 152-159. •	Musa IW, Sa’idu L, Adamu J, Mbuko IJ, Kaltungo BY, Abdu PA (2010). Outbreak of Gumboro in growers in Zaria, Nigeria. Nigeria Vet. J. 31: 306-310. •	Olugbemi TS, Mutayoba SK, Lekule FP (2010). Evaluation of Moringa oleifera leaf meal inclusion in cassava chip based diets fed to laying birds. Livestock Res. Rural Develop. 22(6): 118-120. •	Omekam VN (1994). Studies on nutrition and health implication of dietary inclusion of dried poultry waste for broiler. MSc Thesis, Federal University of Technology; Owerri, Nigeria 41. •	Onunkwo DN, George OS (2015). Effects of Moringa oleifera Leaf Meal on the Growth Performance and Carcass Characteristics of Broiler Birds. IOSR J. Agric. Vet. Sci. 8(3): 63-66. •	Onyemonyi AE, Adeyemi O, Okeke GC (2009). Performance and economic characteristic of broiler fed varying levels of Neem leaf meal (Azardiratchta indica) Int. J. Poult. Sci. 8:256-259. •	Ravindran V, Kornegay ET, Rajaguru ASB, Potter LM, Cherrry JA (1986). Cassava leaf meal as a replacement for coconut oil meal on broiler diets. Poult. Sci. 65(9): 1720- 1727. •	Safa MA, El Tazi (2014). Effect of feeding different levels of Moringa oleifera leaf meal on the performance and carcass quality of broiler chicks. Int. J. Sci. Res. 3(5): 147-151. •	Sharma JM, Kim J, Rautenschlein S, Yeh HY (2000). Infectious bursal disease virus of chickens: pathogenesis and immunosuppresion. Develop. Comp. Immunol. 24: 223-235. •	Sofowora A(1993). Medicinal Plant and Traditional Medicine in Africa; Spectrum Books Limited, Ibadan.pp 1-12,101-108. •	Tsukamoto K, Tanimura N, Mase M, Imai K (1995). Comparison of virus replication efficiency in lymphoid tissues among three infectious bursal disease virus strains. Avian Dis. 39(4): 844-852. •	Van den Berg TP (2000). Acute infectious bursal disease in poultry: a review. Avian Pathol. 29:175–194.